Young people in Cumbria are now being provided with the opportunity to gain new skills and increase their career opportunities and employability skills through work experience. A grant for £5,000 from the Cumbria Young People’s Fund to Appleby Heritage and Training Centre allowed young people to explore possible career paths, increase self-esteem and improve self-confidence. The centre provides education and training courses for all ages, and carries out health and safety risk assessments for pupils undergoing work placements through the Cumbria Education Business Partnership. It liaises with employers, schools and young people to arrange suitable placements for all, including those with sensory, physical and intellectual disabilities. The partnership completed in the region of 2,400 work placement risk assessments to facilitate work experience for more than 2,000 young people across Cumbria. Young people will have the opportunity to engage in purposeful and engaging work experience which enhances their life and career prospects. By identifying potential risks and suggesting ways to reduce those risks or remove them altogether the learner can remain safe and well at all times during their period of work experience. The grant was used to provide financial support to the running costs of Cumbria Education Business Partnership. The Appleby Heritage Centre Ltd is an independent training provider operating in the Upper Eden Valley. 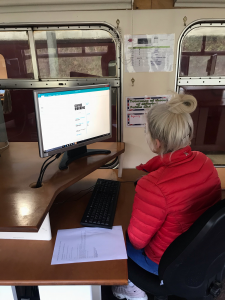 Providing education and training courses for all ages, it is located in a converted goods shed outside Appleby Railway Station, providing classes thought the day and also in the evening. Opportunities to train in traditional skills, IT, Business, Engineering, Customer Service plus much more including a range of crafts such as Photography are available.